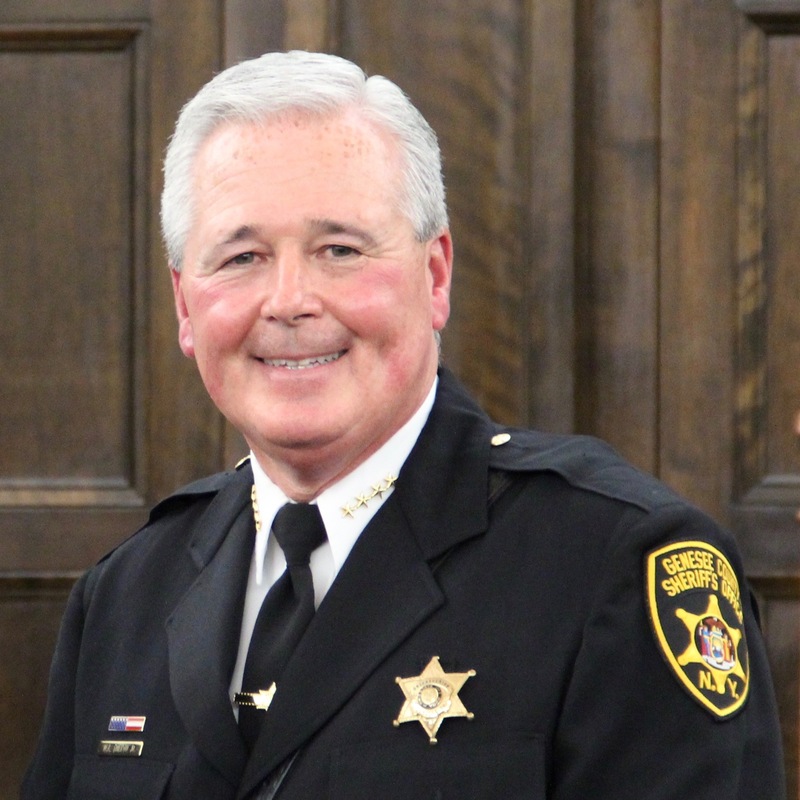 NY Sheriffs Association	» Blog Archive » William Sheron, Jr.
Sheriff William Sheron, Jr. was first elected Sheriff of Genesee County in 2016. He started his law enforcement career in 1977 with the Genesee County Sheriff’s Office. He moved quickly through the ranks, serving as a dispatcher, a Deputy for the jail and a Deputy for the road patrol. In 1984, he became the youngest Sergeant in Genesee County history, he was 26. He later was promoted to Investigator and then Chief Deputy, before becoming Undersheriff in 1996. Sheriff Sheron holds an Associate’s Degree in Criminal Justice. He is a graduate of the prestigious F.B.I. National Academy, the F.B.I. Law Enforcement Executive Development Seminar and numerous law enforcement and corrections training courses. Sheriff Sheron served on the board of the Mental Health Association of Genesee and Orleans Counties. He is a past president of the FBI National Academy Associates New York State/Eastern Canada Chapter and a past Vice President of the Genesee County Alcohol Substance Abuse. Sheriff Sheron and his wife, Shari, reside in Batavia. He is the father of two children, three step children and six grandchildren.